A number of leading global companies are aiming to invest in Pakistan due to its fast-growing population of 208 million people. The beverage giants, Coca-Cola and Pepsi have too joined the list of businesses to invest a whopping amount in the country. According to Reuters, Pepsi and Coca-Cola are all set to invest $1.4 billion in Pakistan in the coming years. 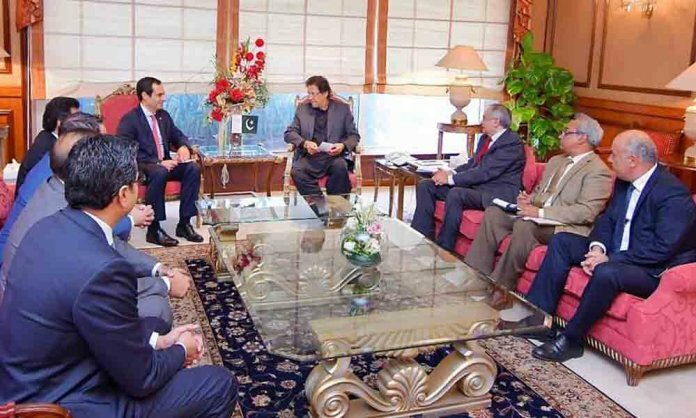 The executives from the two companies met with Prime Minister Imran Khan. A delegation of Coca-Cola from Turkey announced in the meeting its future plans of $200 million investment in the coming two or three years. Already, the company’s current investment in Pakistan amounts to $500 million. Coca-Cola Rejecting This Graduate is the COOLEST Thing You Will See Today! Further investment by Coca-Cola will create new jobs, support ancillary industries and help the government earn incremental revenue through taxes. Pepsi also plans to make “a further investment of $1.2 billion” in next five years after the company’s chief executive for Asia, Middle East, and North Africa, Mike Spanos, led a Pepsi delegation that met Pakistan’s PM. Imran Khan assured the delegations of government’s complete support and facilitation towards companies willing to invest in the country. It is no secret that Pakistan Tehreek-e-Insfaaf’s (PTI) government is vying hard to bring major investments in the country and fulfill its promise of 10 million jobs to the youth. In another news, Suzuki Motors is also likely to invest $450 million in the economy to expand car production. Federal Minister for Finance, Revenue, and Economic Affairs, Asad Umar has confirmed this on Twitter. A delegation of the Suzuki Motors Corp called on Prime Minister Imran Khan at Prime Minister’s Office and briefed him about the existing investment of the corporation and future investment plans in the country. What’s more, the world’s largest publicly traded international oil and gas company, Exon Mobil is also re-entering Pakistan after 27 years. Next articleHuawei to Beat Samsung to Become World’s First Hole-Screen Manufacturer?